Consumer advocates and the real estate industry are struggling to understand President Trump's first official action. Trump, who has vowed to fight for working-class Americans, signed an order during his first hour in office blocking an Obama initiative that would have cut the cost of mortgages for millions of home buyers. Democrats and consumer advocates denounced the move. "In one of his first acts as president, President Trump made it harder for Americans to afford a mortgage," Senate Minority Leader Charles Schumer (D-N.Y.) said in a statement. "What a terrible thing to do to homeowners." The Obama measure would have reduced the premium on Federal Housing Administration-backed loans by 0.25 percent. That would have saved someone buying a $200,000 home about $29 a month. The FHA insures about 16 percent of new mortgages in the U.S. under a long-standing program to make home ownership more affordable for middle-class consumers. First-time homebuyers who might have trouble qualifying for a private mortgage can often get an FHA-insured loan because taxpayers are guaranteeing the loan. This adds a monthly insurance premium to the loan payment but often enables the homebuyer to qualify for a mortgage they might not be able to get otherwise. There wasn't much in the way of an explanation for Trump's action, although Republicans had called the 0.25 percent reduction "hasty" and said that while it might help consumers, it threatened the stability of the FHA. At his confirmation hearing as Secretary of Housing and Urban Development, Ben Carson said he was "surprised to see something of this nature (the premium reduction) done on the way out the door, which of course has a profound effect." Carson said he would work with financial experts to "really examine that policy." Consumer groups were taken by surprise. "I think we were surprised by how quickly this was something that they wanted to look at," said Sarah Wolff of the Center for Responsible Lending, according to a USA Today report. "I think it unfortunately signals that they don’t place as great an emphasis as we would hope on access and affordability of mortgage credit. Sen. Pat Toomey (R-Pa.) had pressed Carson about the solvency of the FHA fund that backs mortgages at his confirmation hearing, saying it was only 16% above the minimum required by law, which he characterized as "very little buffer" while noting that FHA had needed a bail-out as recently as 2013, during the Great Recession. Toomey has long been concerned with the FHA's financial health. He introduced legislation in 2012 that would have increased FHA premiums. The measure passed the House but died in the Senate. 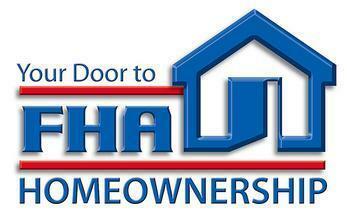 The FHA insures more than $1.1 trillion worth of mortgages on more than 7 million loans.